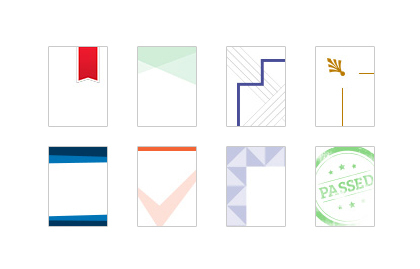 Create custom certificates for your online quizzes and exams. 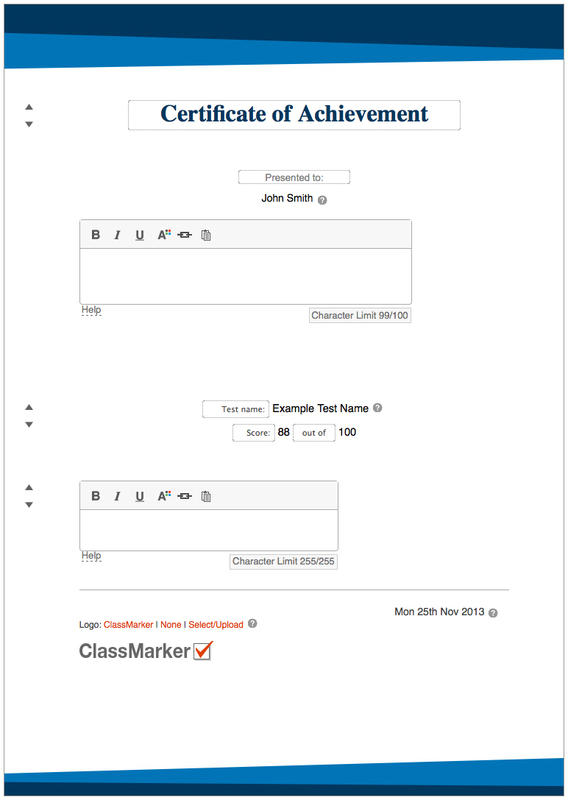 With ClassMarker you can design and add your own background image to certificates, giving you a fully branded certificate students can download. Our certificate editor allows you to customize all the text within your certificate (including Multiple language support), as well as dynamically include: The test takers Name, Test name, Test score and the Date the test was taken. You can also drag and drop certificate headings and text to any position to give your designer more freedom and control when creating your background image. Select to have your certificates given in Landscape or Portrait mode. Download our Certificate designer pack to send to your web designer which contains both a template and instructions to help them easily create a custom background image.